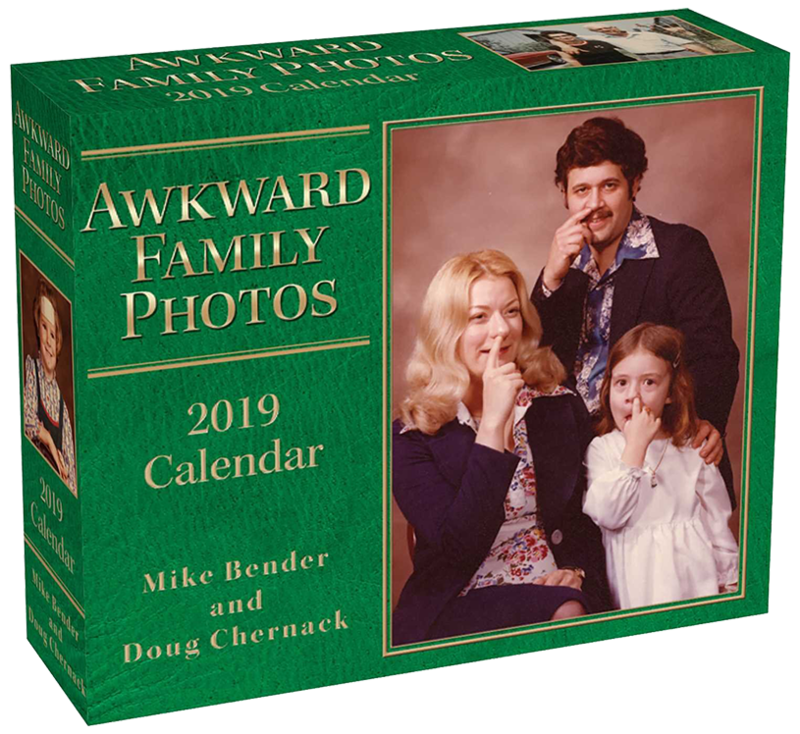 From bizarre poses and matching outfits to bad hairstyle choices and props that defy logic, these full-color snapshots of family bonding will cause you to gasp, cringe, and laugh uncontrollably all at the same time. 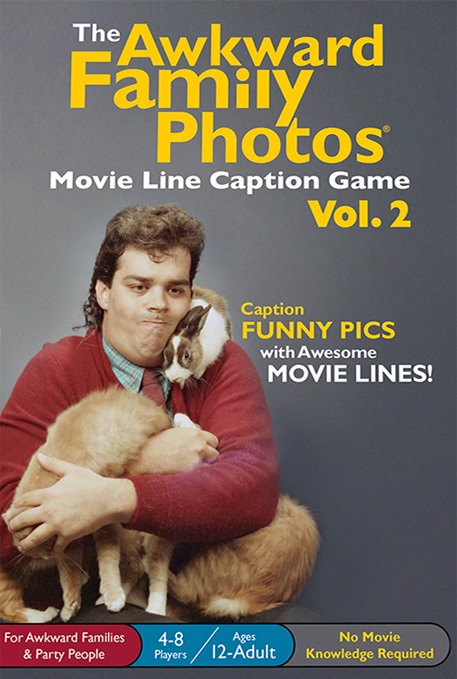 A hilarious, new family party game where players use 330 memorable movie lines to caption 160 amazing awkward family photos. The best caption wins. 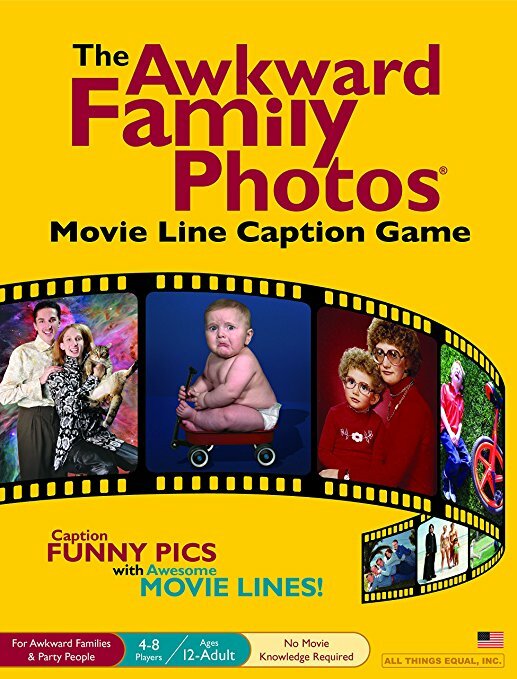 A brand new volume of the hilarious family/party game where players use 220 memorable movie lines to caption 100 amazing awkward family photos. Favorite caption wins. Cringe at the forced poses, bad hair, and matching outfits--all prompting us to look at our own families and celebrate the fact that we're not alone. 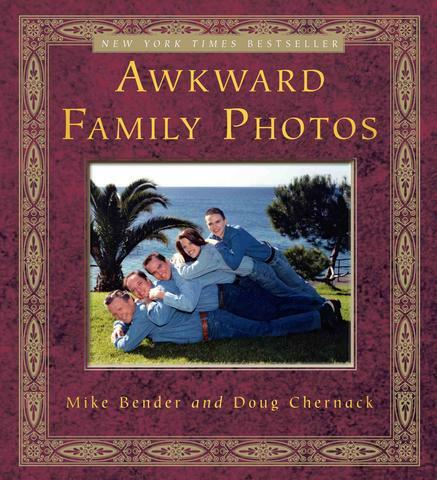 Nothing says awkward better than an uncomfortable family photograph! There are few things more rewarding than having a pet. They love us unconditionally, shower us with attention, and because of them, we actually live longer. 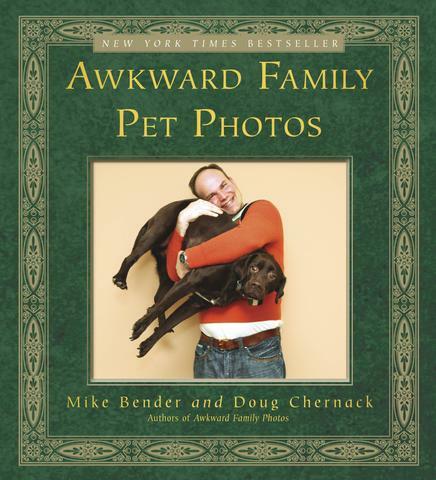 So, what can possibly be awkward about our animal BFFs? 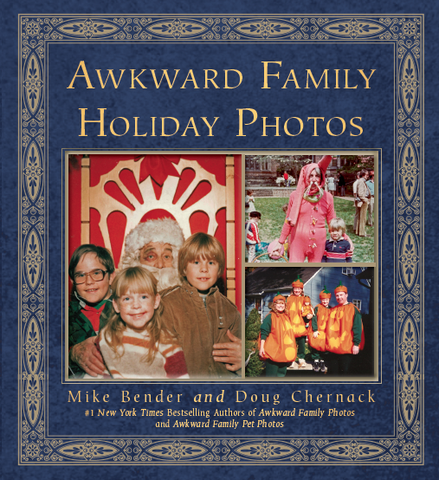 Whether your family loves Valentine’s Day, St. Patrick’s Day, Easter, July Fourth, Halloween, Thanksgiving, Christmas, or Hanukkah, this book pays homage to all of the holidays’ most uncomfortable moments. 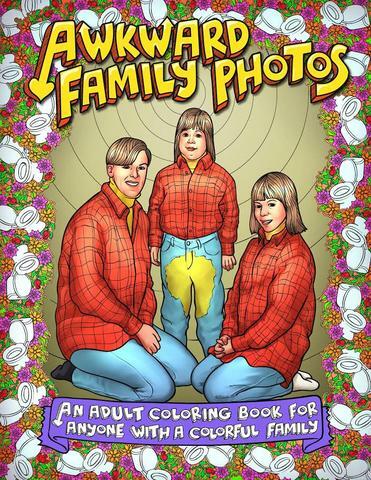 The official Awkward Family Photos adult coloring book is finally here for anyone with a colorful family... oh, and that's everyone. 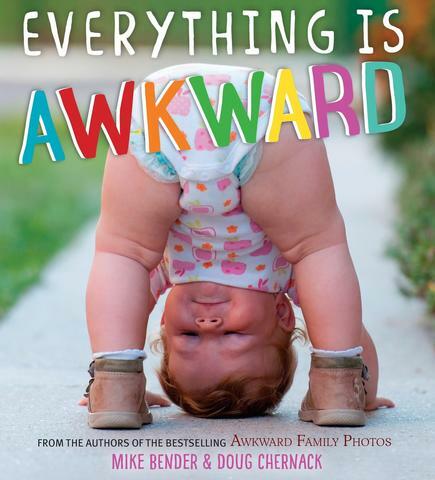 The New York Times Bestselling authors of the Awkward Family Photos franchise shine a light on childhood in this book that will have parents and kids cracking up. 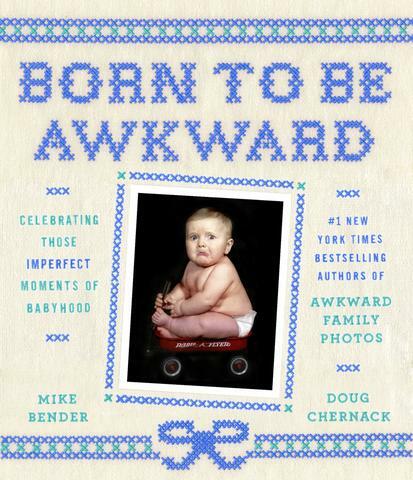 From our first post-delivery scowl, to our first throw-up, and yes, even to our first bikini--Born to Be Awkward is a celebration of what is literally the most uncomfortable stage of life. You'll never have to send a serious or boring postcard again. 35 ways to confuse your friends and family year-round! Mail anonymously to friends, display proudly in your home, or sneak onto someone else's wall! 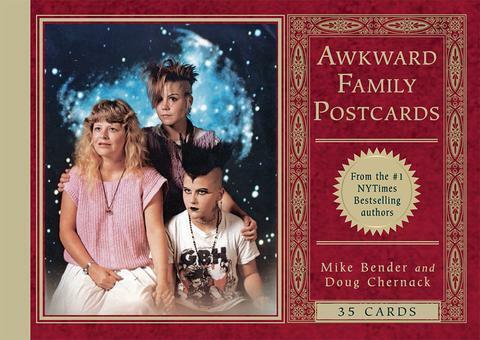 With 35 of the most hilariously embarrassing and classic pics from the AwkwardFamilyPhotos.com, this compact postcard book offers yet another way to share the most cringe-worthy family moments captured on film. 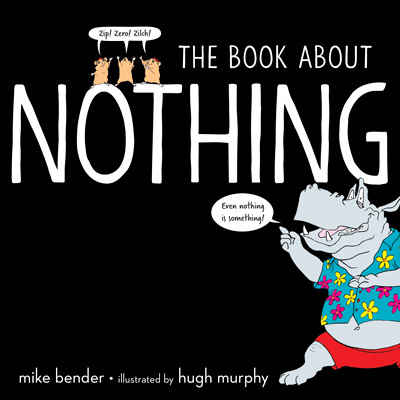 From AFP Co-Founder Mike Bender comes a innovative and wildly funny read-aloud children's book that has nothing to do with rainbows, rocket ships, meatballs, or wizards. Instead, it’s full of zip, zilch, diddly-squat, and bupkus. But don’t worry, reading this book isn’t all for nothing, because sometimes nothing is actually something.